If you’re in the process of planning a child’s birthday party, bar mitzvah, or other event, you know how difficult it can be to come up with fun, unique ideas that will make your party feel exciting and memorable. 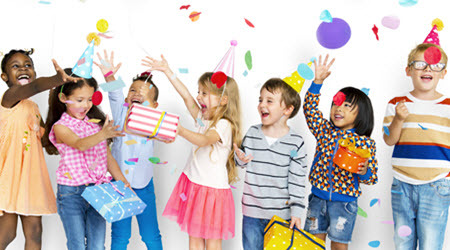 Kids’ parties are a dime a dozen, and it’s so easy to end up with a generic, lackluster event that blends in with every other birthday party and bar mitzvah in your town from the past five years. If you want your party-throwing prowess to make an impression, consider a candy cart for your next event. It’ll impress kids and adults alike! What Does a Candy Cart Look Like? Candy carts look just like the clear bins of bulk sweets that you can find at any candy store. They come with 5 clear plastic tubes and 10 clear plastic boxes that you can fill to the brim with whatever candy you’d like. 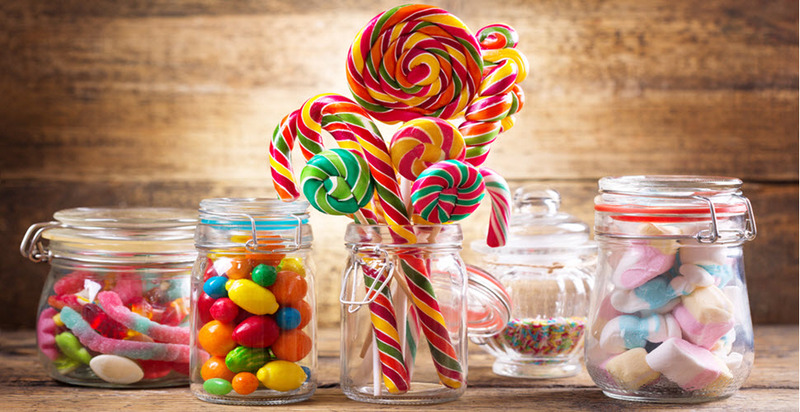 You can use anything from lollipops to gummies to your favorite fun-size individually wrapped candy bars! Each bin comes with its own attached scooper to maintain proper sanitation, just like in a real candy store. Distribute plastic baggies to each of your party guests and let them take home their fill of delicious sugary sweets! What are the Logistics of a Candy Cart? Candy carts look super impressive and are a great way to end your party on a definite high note. With all this flash and excitement, you might be wondering whether your event space is logistically able to accommodate a candy cart. Not to worry, the space and power requirements for a candy cart are actually quite simple. In order to accommodate a candy cart that’s sure to wow your guests, especially the younger ones, all you need is a skirted table that measures at least 6 feet long, an open space in your event venue that measures 10 feet by 12 feet, and a dedicated 20 amp circuit. Most event spaces are easily able to provide all of these accommodation requirements, so there should be no obstacles in the way of a candy cart for your party! Why Should I Consider a Candy Cart for My Party? Children have notoriously short attention spans, even at parties. If you’re not careful, a gaggle of bored kids can quickly take your party from a fun, festive event to a shrieking, chaotic nightmare in seconds. The secret formula to a great children’s party is simple: keep the kids entertained from start to finish, which keeps the party running smoothly. There’s a reason why “kid in a candy store” is such a popular idiom for pure, unadulterated joy. A candy cart is the best way to inspire that enthusiasm and excitement in the young guests at your party. There’s no better way to keep the kids excited and entertained than a giant table full of candy. In fact, a fully-stocked candy cart will probably inspire similar amounts of excitement from the adult guests at the event! Roll it out at the very end, right before your guests are getting ready to leave, and watch as the candy cart guarantees that your party becomes the talk of the town. These are the kinds of finishing touches that take a party from mediocre to unforgettable. Creative Event Services Can Help You! If you’re looking to plan an incredible kids’ event that no guest will ever forget, let Creative Event Services show you the way! They’ve made a name for themselves by providing performers, party favors, games, and more for the biggest and best parties in Boston, New York, and Hartford. Creative Event Services can help you take your birthday party or bar mitzvah to the next level! Creative Event Services doesn’t just have candy carts. They can also provide your next party with practically any activity, game, performer, or party favor you could possibly think of. Whether you’re looking for custom photo booths, classic arcade games, inflatable bouncy castles, or even Virtual Reality games, you can find them at Creative Event Services. Even if you have an idea that Creative Event Services doesn’t currently provide, they can help you find a way to make your idea a reality for your next event! Don’t settle for a boring, forgettable kids’ party. Try Creative Event Services!